Take from now on advantage to command translations of descriptions of your properties (FR-DE-EN-IT) in Immomig ®. This option is directly available with all the Immomig ® licenses, through the signature of a contract between your company and Supertext AG, with the aim of obtaining a login for the bridge between the 2 systems. 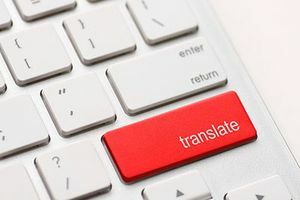 All the descriptions recorded in your language in the software, and which you wish to translate, are automatically exported. After a deadline of a few days, translations are then imported without any intervention from you. Once it is delivered, a notification will be sent to the user who made the order. Supertext AG takes care to send you the invoice.